When I first submitted my family’s unemployment story to Vicki Huffman, I offered to write a review of her book once it was completed. Only God knew the reason and the season in which I would need to read the inspirational words in Still Looking: Finding the Peace of God in Job Loss. Vicki was able to tap into those feelings not only from her own family’s experiences but also by citing renowned psychologists, experts, and everyday people who had the dubious honor of being unemployed at one time or another. She compared unemployment and job loss to the stages of grief and how those who are unemployed—for whatever reason—face similar feelings as those who have experienced loss of any kind—health death, divorce, to name a few. 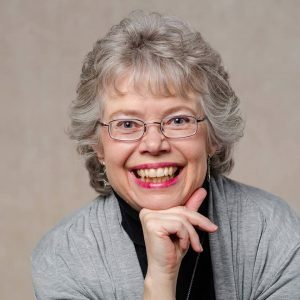 Vicki walks readers through the stages of grief, helping them to see the connections with job loss and how they eventually can move forward with the help of God. As I read Still Looking, I began to see stages of grief in my own life—but for different reasons. Last year, I resigned from my corporate job at a Fortune 500 company to become a stay-at-home mom of our three children whom we adopted. Although a joyous occasion for my husband and me—and for our children, I felt the loss of fellowship with coworkers, usefulness and productivity that come from completing projects, and the accolades that accompany great work. I was able to see and work through these issues by reading Vicki’s book. She also helped me to understand the pros and cons of women working outside or inside the home, depending on their circumstances. In addition to the emotional issues accompanying unemployment, Vicki offered practical and spiritual insight for times of job loss. She gave tips on how spouses can help and affirm each other during unemployment. As I re-read our own stories that we submitted to Vicki, it reminded me of the many ways my husband and I have supported each other during these times and how we can continue to do so. Still Looking is filled with practical and spiritual insight on how to spend time during job loss, as well as other considerations that accompany unemployment, such as the possibilities of relocating and self-employment. Vicki also offers a unique perspective for those who are older and find themselves unemployed. I especially liked the “P.S.—Post Job Script” sections that summarized each chapter and provided practical tips on how to move forward in recovery from unemployment. The “Peace to You” sections encouraged me with biblical passages and reminders of the peace of God when money is tight. Oftentimes, books on difficult subjects tend to provide trite answers. Not so with Still Looking. It is fresh and original; Vicki Huffman has been there and she gets it. From beginning to end, Vicki shows the joys of growing closer to God during times of financial strain. She is a great example of finding true peace during unemployment. If I had one critique, it would be this: I would have liked for the book to include a set of study questions, whether at the end of each chapter or at the end of the book. That way, readers could work through the issues in each chapter more readily. Regardless, I highly recommend Vicki Huffman’s Still Looking: Finding the Peace of God in Job Loss. It is a great tool to help readers through the valleys of unemployment—not once, but as in our case, several times. Still Looking is ideal for anyone who has a job and feels like it may be time to move on to another job or season in life, or they sense that unemployment might be imminent. It is a great resource for Bible study groups; readers can use it by themselves, with a mentor or counselor, or in a small group format. People in recovery groups also could benefit from it. The book also would be a great gift for someone working through issues of financial struggle. 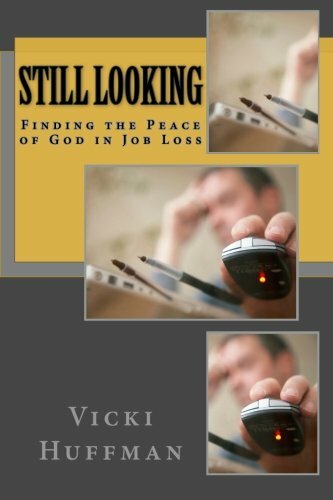 Still Looking: Finding the Peace of God in Job Loss is available on Amazon (affiliate link). Come alongside… Have you experienced job loss? How have you dealt with it? Share in the comments below. Recently, I had the pleasure of reading author Lisa Aré Wulf’s devotional, On a Quest for Christ. If you’re looking for a meditative devotional, I highly recommend this book. Lisa Are Wulf’s On a Quest for Christ: Tracing the Footsteps of Your Spiritual Journey is a thought-provoking 30-day devotional for Christians interested in documenting the key events in their lives, including their decision for Christ. 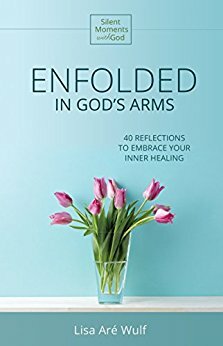 Lisa shares snippets of her story in each of the devotionals, encouraging readers to uncover their own sacred journey in a workbook style format. Readers can reflect on how different life events have influenced them, taking notes along the way. Each devotional closes with a “Give it to God” prayer and an opportunity for the reader to write a prayer to God, unique to their own life. At the end of the 30-day devotional, readers are empowered and encouraged to create their very own Christ Quest Time Map, highlighting milestones for important events or achievements, breakthroughs or significant insight, God moments or spiritual encounters, and times of uncertainty or struggle. I felt Lisa’s loving, calm, and soothing voice as I read the devotionals. Documenting our life stories can be intimidating, but Lisa gently and prayerfully leads readers on the journey. She tells stories I related to—as would many others. Her carefully-crafted prayers show her sensitivity to the leading of the Holy Spirit and the delicacy of each person’s sacred journey. On a Quest for Christ is a great tool to help readers leave a legacy of their faith journey to children and grandchildren. It is also a great resource for taking inventory of a person’s life, as is required in many 12-step recovery group programs. On a Quest for Christ can be used by a single reader, one-to-one mentoring, or in a small group format. I highly recommend Lisa Are Wulf’s On a Quest for Christ: Tracing the Footsteps of Your Spiritual Journey for any believer. For more information on Lisa, visit her blog, One Woman Sanctuary. If you would like to read more reviews of On a Quest for Christ–and to purchase a copy, visit Goodreads, Amazon or Barnes & Noble. 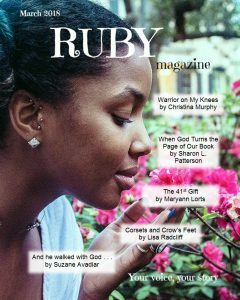 Earlier this year, I posted that I published my first book, Women of the Secret Place (Ambassador International). I just finished reading Women of the Secret Place. I must say this is an excellent, excellent book to rediscover the reason why GOD is the almighty. The stories in this book give the reader insights as to why Jesus is the truth and the light. 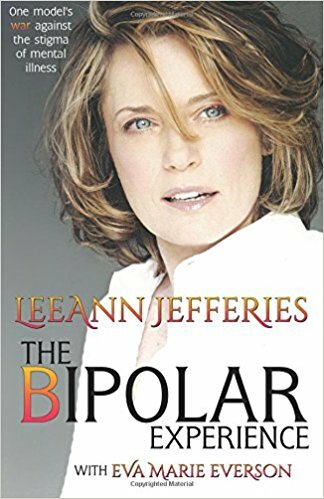 My life related to a lot of the personal moments experienced with the authors of this book. I found myself smiling at some, and others brought tears to my eyes. The flow of the book kept you wanting to continue to the next page, to the next story, to the next closet door that was being opened. I was curious to see what the next story was going to be about. I recommend this book to other readers who do not know the power of GOD. He will never leave you nor forsake you, and this book gives you all the reasons to keep on keeping on. FAITH COMES BY HEARING AND HEARING BY THE WORD OF GOD. TWO THUMBS UP FOR WOMEN OF THE SECRET PLACE! I am so excited to hear how this book blessed you, Trinisa. I hope you will read it again and again. Visit my book page for more information on Women of the Secret Place and to purchase your own copy.